Ursulaea macvaughii is a rare plant. 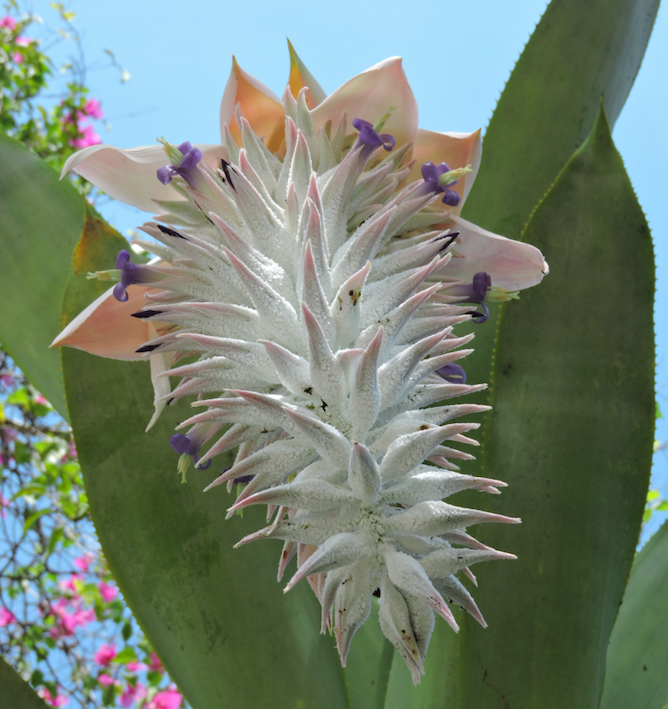 A member of the bromeliad, or pineapple family, with only one other species in its genus, it has a small range of native distribution from southern Jalisco through Colima to western Michoacán. 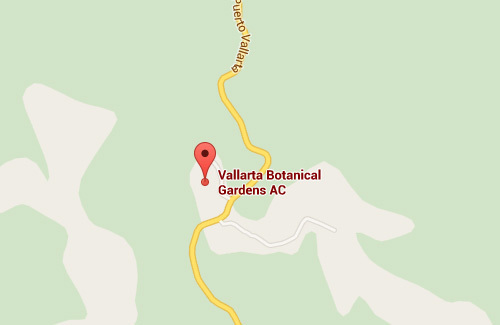 The Vallarta Botanical Garden is one of only a few botanical gardens in the world with examples of this plant on public display. 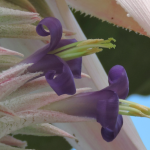 Currently eight healthy specimens of U. macvaughii grace the VBG’s collections, but until now, none have yet bloomed. The first few purple flowers began to open yesterday and more will surely follow over the next several days with a peak bloom predicted by the end of the first week of October. 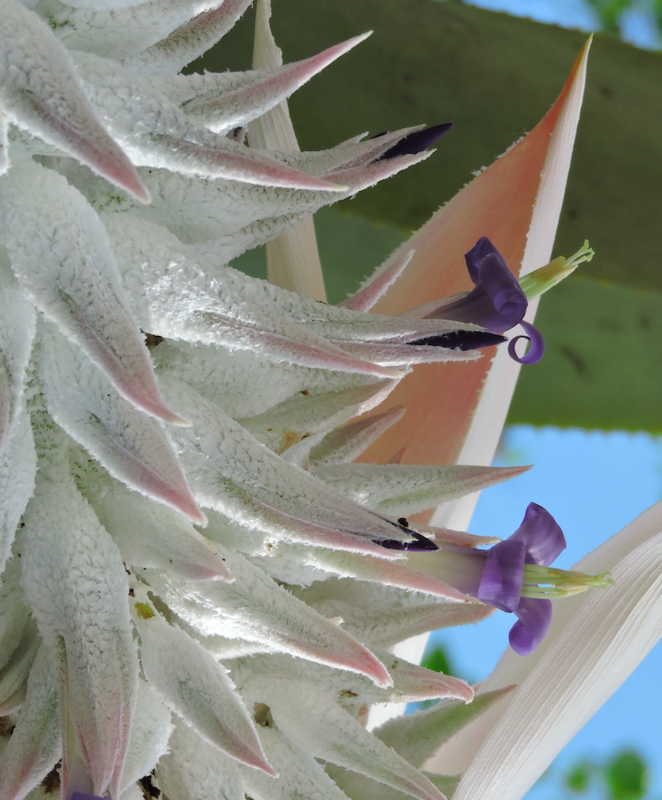 Buds of this plant are encrusted in a frost-like white texture and the pinkish bracts from which the inflorescence emerges are elegant enough for a swan to envy. Plant enthusiasts are encouraged to visit this rare treat and photographers are invited to take advantage of an opportunity to capture images of this spectacular jewel of our natural world. Even after the purple petals fall away, the large showy berries of this plant are still a sight to behold and will delight observant visitors for months to come. 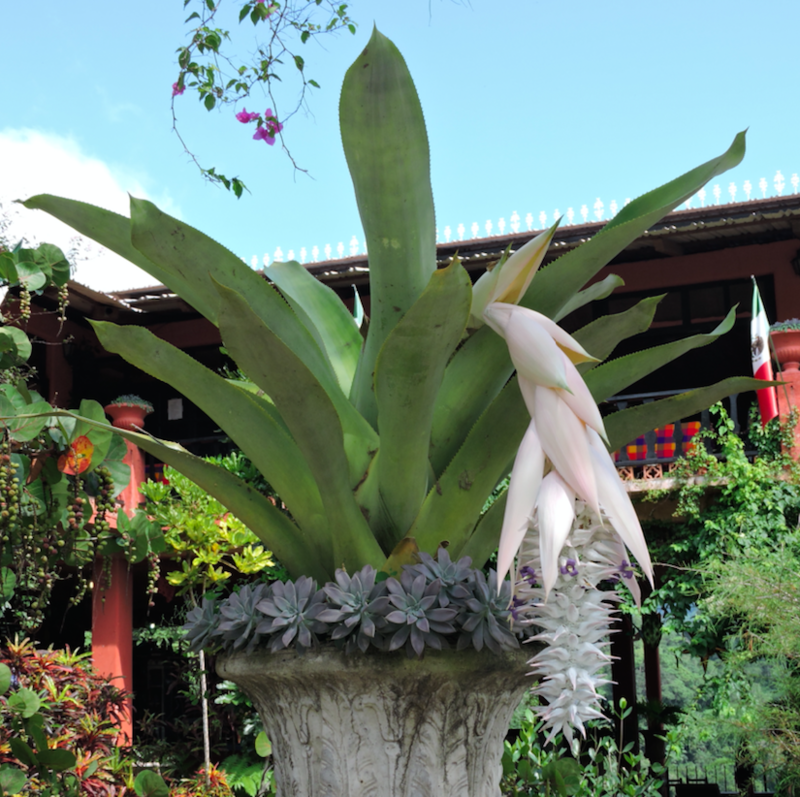 In addition to extensive and diverse displays of bromeliads, the VBG’s other notable collections include orchids, palms, oaks, magnolias, cacti and much more. Plants at the Garden can be enjoyed in inspiring landscaped grounds, stunning plant conservatories, and adventuresome trails through a magnificent native forest preserve… it’s a place where Mexican plants meet the imagination!